A PCS class on business enrichment, taught by Shlomo Werdiger, CEO of Outerstuff. 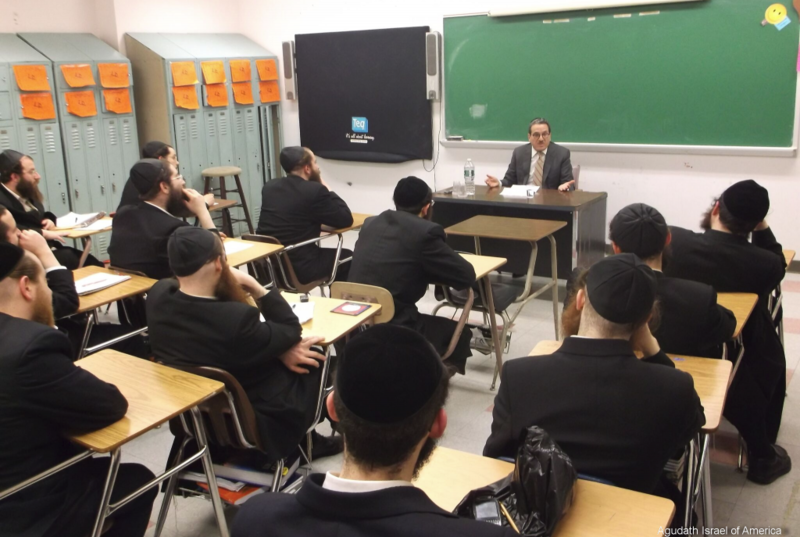 This February, Agudas Yisroel is profiling Agudah’s flagship parnassah initiatives, PCS and COPE, in honor of PCS’s 6,000th job placement and COPE’s grand opening of its new classroom space in its Kensington location. (Agudath Israel) – Eliezer Martin, MS Accounting, CPA, is an unlikely brand ambassador for PCS. A good husband, a proud father, and an active member of his kehillah, Eliezer is also constantly busy with his job as CFO of a real estate management company. But he will always stop to talk about PCS. “I credit PCS with providing me with the education and knowledge to advance in my career, become a CPA, and earn a living parnassah,” he says.